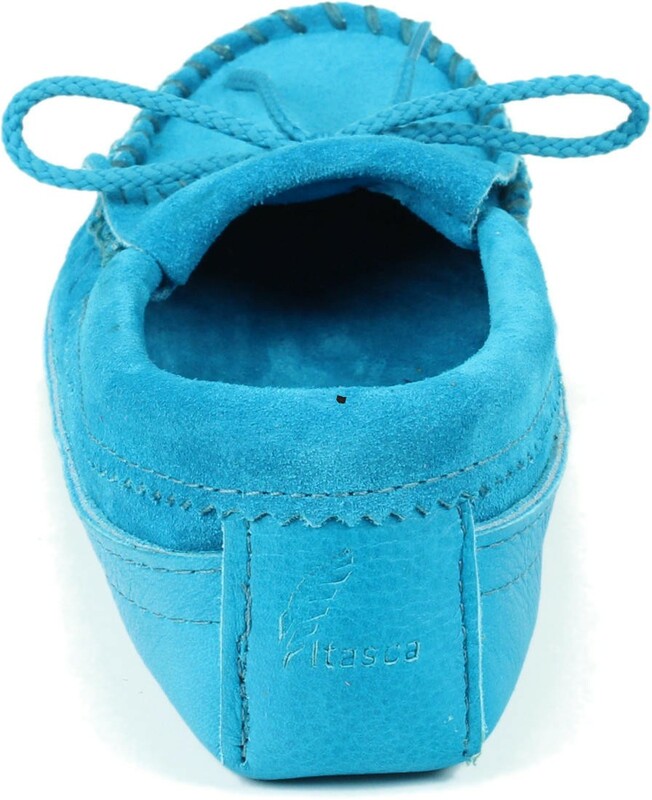 Besides our well-known color combinations each season we introduce a new assortment of solid colors in our "Essential" line of women's Cota moccasins. 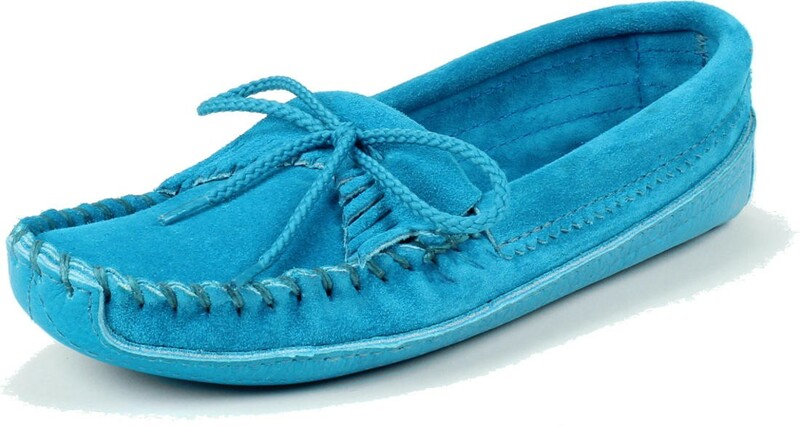 Our favorite color has always been (and continues to be) "Turquoise." 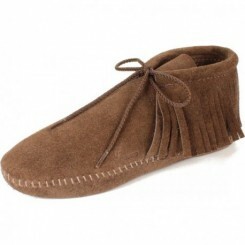 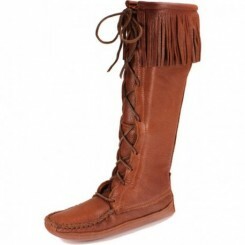 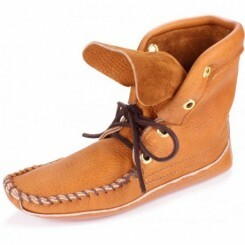 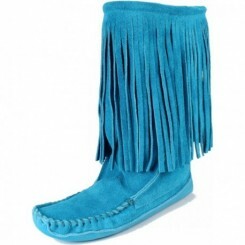 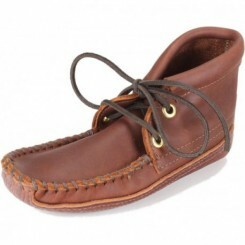 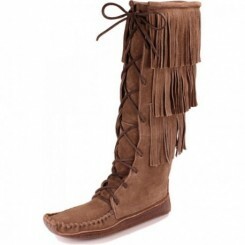 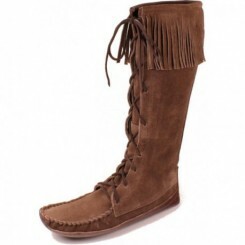 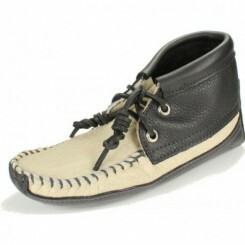 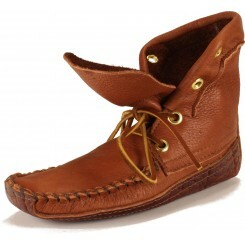 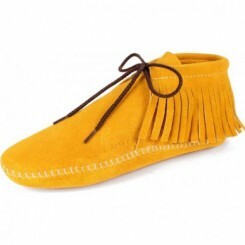 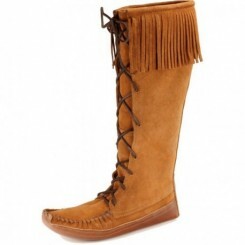 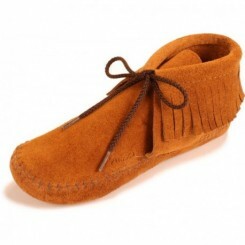 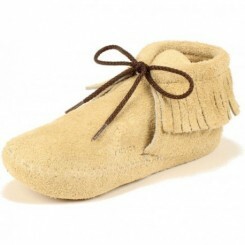 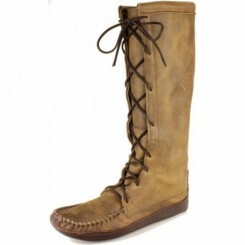 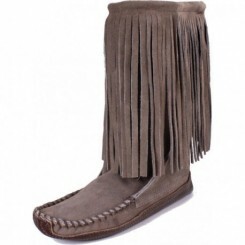 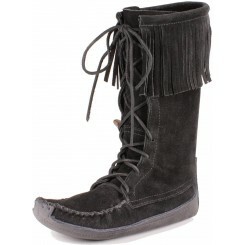 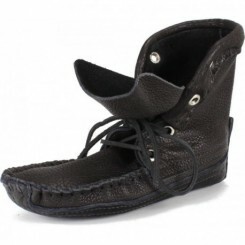 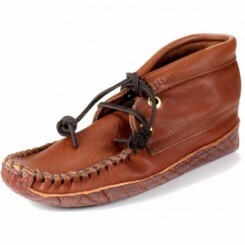 In this moccasin we mixed it up a bit - combining both full grain and suede leathers. 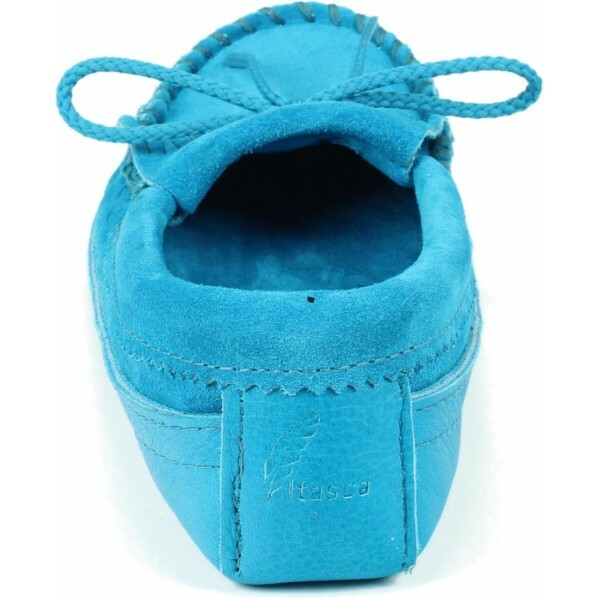 The sole made of bullhide is thick and sturdy for longevity; the upper portions are done with an exact color match in suede - resulting in a luxurious texture. 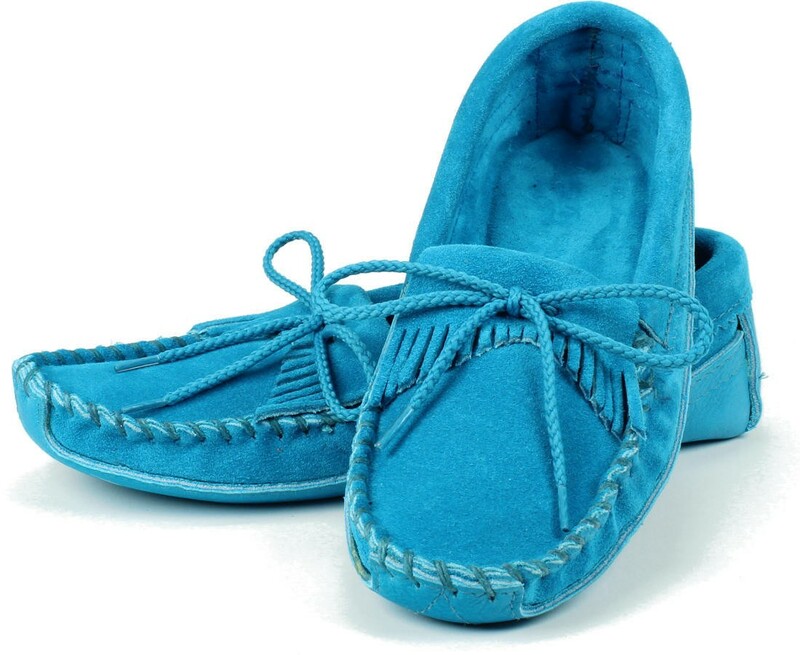 We have always considered turquoise to be one of our neutral colors; they are appropriate for year round use in warmer climates and are perfect for spring through fall in more northern climates. 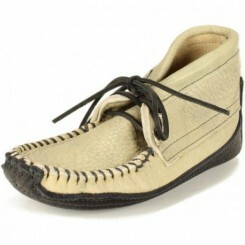 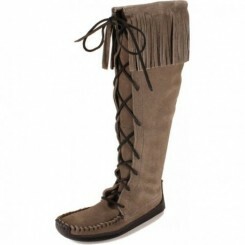 We suggest wearing them with just about anything - jeans Capri's shorts khakis short skirts and even beach wear. 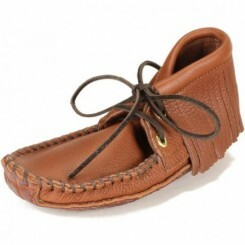 When you get compliments on these be sure to tell your admirers about Itasca Leathergoods!